ZOEVA’s high-performing brushes not only look beautiful, but also are considered among the best in the business, enabling you to blend and buff like a pro. Plus, each brush has its name written down the side, so there’s no head scratching as to what it’s meant for (hurrah!). Their Very Soft Definer Vegan Brush (227) is ideal for deftly blending pressed powder and loose shadow pigment and is small enough to reach areas like the corners of the eye. This delicate eyeshadow brush has gossamer light bristles and a compact brush head, perfect for distributing and blending small amounts of powder pigment over the lid and at the corners. The design features a chic black wooden handle, metal ferrule and vegan taklon bristles. ZOEVA’s collection of brushes are beloved by professionals and make up devotees alike, each one delivering a flawless finish so you can boss even the trickiest of make up techniques. 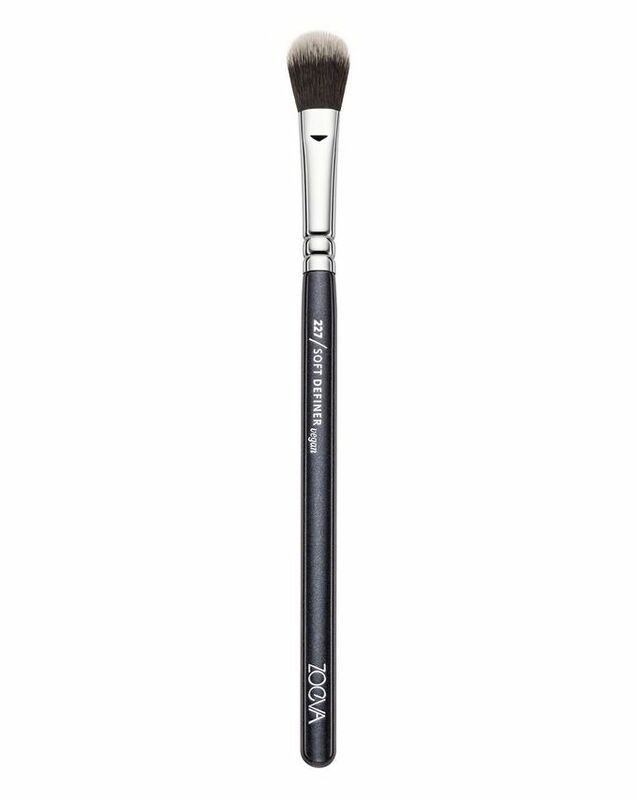 Use this brush for the soft blending and shading of pressed powder and loose pigment eyeshadow. The smooth natural hair turns this brush into the perfect tool to blend eyeshadow in the crease. It creates stunning effects and glamorous looks.